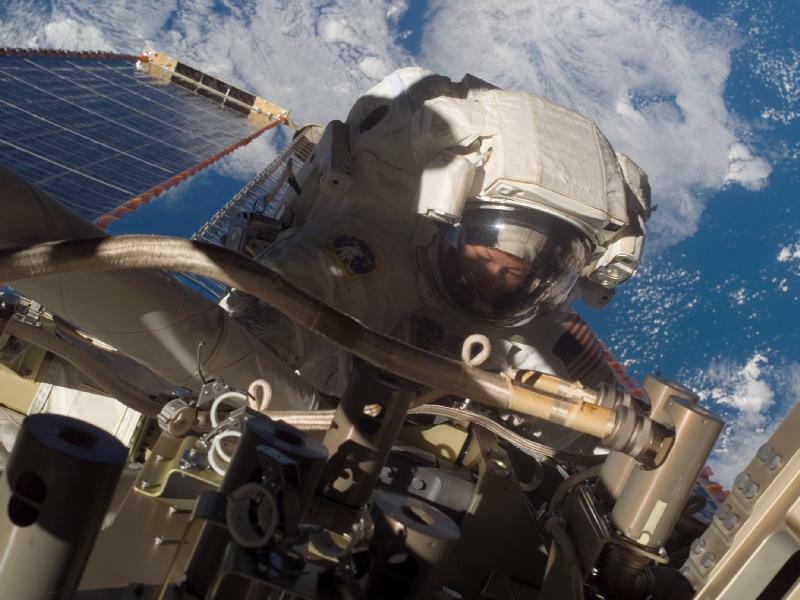 (NASA) – Backdropped by a sparkling blue and white Earth, Expedition 16 commander Peggy A. Whitson participated in the 100th spacewalk for the construction and maintenance of the station. Whitson made history as the first female commander of the station. During the spacewalk, Whitson and flight engineer Dan Tani searched for the cause of partial loss of electrical power to one of the International Space Station’s two Beta Gimbal Assemblies for starboard solar wings and examined damage to the starboard Solar Alpha Rotary Joint.